The lakeside inn and casino is located in the Majestic Sierra nevada mountains 55 miles from reno-tahoe airport and 7 miles from lake tahoe airport with commuter service available from many areas in california. 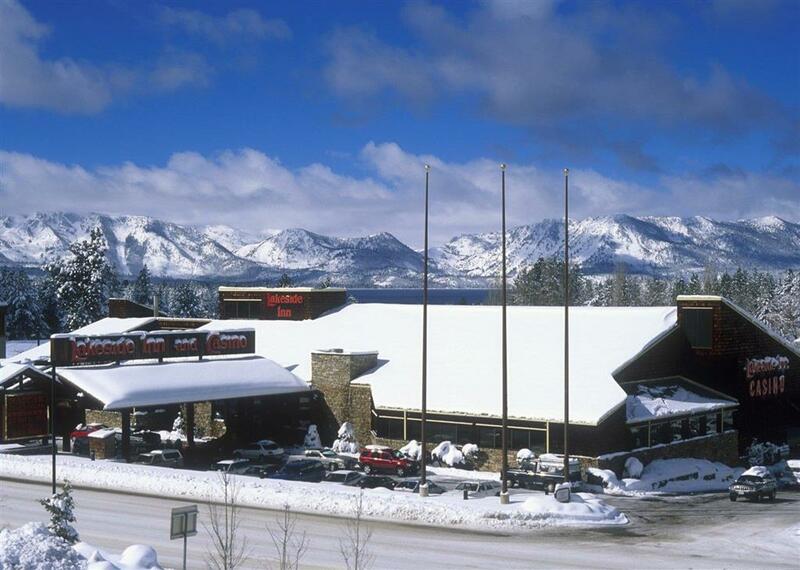 the inn is centrally located to area attractions and is a unique vacation at south lake tahoe. The hotel includes 124 lodge-style guestrooms boasting recently renovated interiors including 1 or 2 beds free wifi and coffee makers. the lakeside inn and casino was voted the friendliest casino on the south shore for several years running. from Reno/Tahoe International Airport From the airport take Hwy 395 S to Carson City Past Carson City take Hwy 50 West to Lake Tahoe. Follow signs to South Lake Tahoe. The inn is on the right-hand side before the Nevada and California state line. Zephyr Cove StablesZephyr Cove Stables 2 Miles W to property.